Mobile apps and pathology — how diagnostics is leveraging technology to create a better doctor-patient ecosystem. Mobile technology has twined its ways through every aspect of our lives in a densely woven manner. While it is making profound impact on lifestyles, healthcare is possibly the most deserving area of technology’s focus. This article spans across paradigms in pathology, where mobile applications have proven to be blessings on screens. Why are we being so specific (and as you will find out on a little more scrolling down…..hopelessly advocating) mPathology? We all, often tend to overlook, how important it is, to keep our body vitals always under monitoring. Most people would think about a pathology laboratory, only when there is some serious complication, and their family physician thought something was really fishy. Many times, it is just in time. But many-a-times, it is too late. Many-a-times, it is in proper time to send your pocket and health insurance leaking funds towards something, that could have been tended to, long back, in an easier and more cost-effective manner. All of this can be blissfully prevented, if there is a proper, automated, technologically sound mechanism — where people, their doctors and the doctors’ associated diagnostic centers could keep a close eye on individual body vitals of all these people! Let’s begin with a real life example. A friend’s dear mother breathed her last on 10th February 2017. She was diagnosed with chronic kidney damage, almost when ‘chronic’ turned ‘absolute’. She lived for a year after her diagnosis, under caution and care…but that was all…a year. A thing about kidney related complications, that many people don’t know is….it results in quick rise in the body’s creatinine levels. High creatinine leads to a lot of complications — minor, yet prominent enough to hint towards a more severe underlying problem. My friend’s mom, for example, had been suffering from skin infections, severe back aches and a foul metallic odour in breath, since quite a few years preceding her diagnosis. But you see, anybody for that matter, can have a back ache one in a while….or it is not uncommon for people to have an itchy skin issue during summers! And that’s how these minor things tend to get overlooked. If however, there could have been a mechanism, to keep a constant check on all body vitals, at any given period in time, her family physician could have noticed the abnormal rise in creatinine, long before her actual diagnosis took place. Had that happened, thing would have been very different. Pathology is an indispensable part of medical science. Making it more accessible and mainstream among the general population can save a lot of lives and make a lot more lives better. It is all about finding out the wrong at the right time….and nothing other than automated technical monitoring can do that. That’s what mPathology is about and would be about in the future! 2012 witnessed 1.5 million deaths globally, resulting directly from Diabetic complications. Another 2.2 million occurred from indirect complications, like cardiovascular arrests due to high glucose levels in blood. This number must have increased multi-fold today. 1 in every 10 people is susceptible to possible health complications, rooting from diabetes. Does one of these people stay at your home? Anybody tending a diabetic patient, knows the kinds of risks, that person’s life is exposed to, every moment — keeping a constant check on sugar levels, staying alert to any sort of disturbing signal from the body, staying agile as far as insulin administration is considered, keeping track of the patient’s diet…. Worst part about being a diabetic is, you have to keep a constant check on multiple organs of your body (diabetes can screw up everything, starting from your eyes to your hormonal system….and of course, gravest of all, your heart.) The situation gets tougher for people who have additional complications like arthritis. Life becomes a constant — careful — ordeal. This calls for a lot of lab tests, a lot of reports, a lot of doctor visits and regular self management. More generally, if you belong to the average household, you will possibly have the enlightened support of a glucometer. You might think that suffices, but it does not. Every now and then, you would still need someone to come down to your home, collect samples, go back, get tests done and give them back to you. if you are not staying in a well-organized city, you might be the one doing all the running to the path lab, instead of the path lab guy doing the running to your home. Situations become worse when the patient has to go there, sit for hours on an empty stomach, just because an appointment was not previously taken. 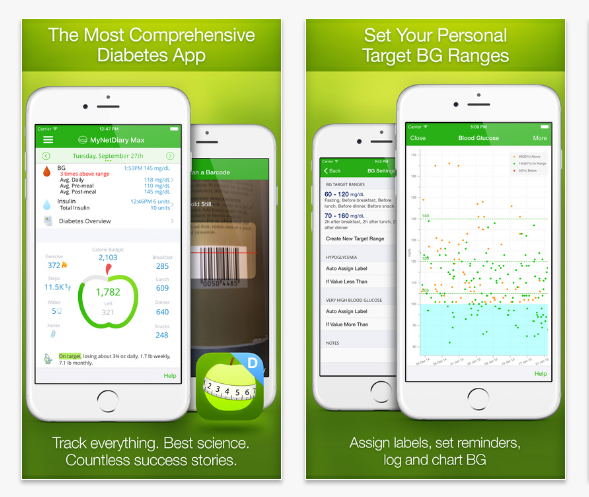 Something like Diabetes and Blood Glucose Tracker by MyNetDiary could be your primary companion. 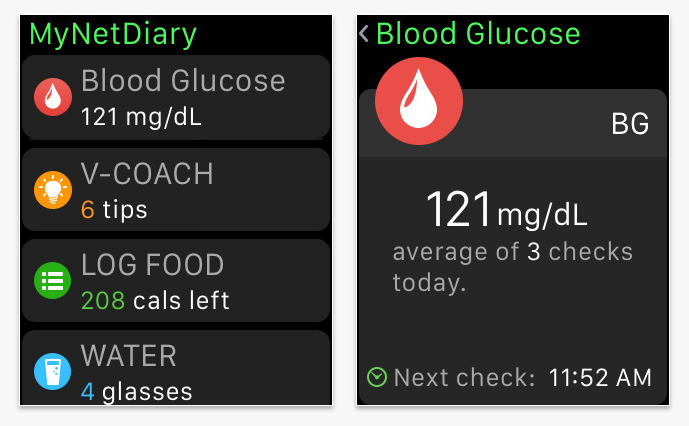 Mobile apps like this one help you keep a constant track of your glucose levels, stay aware of the food your are consuming, helps you restructure your diet according to your most recent blood sugar level. Second in the plan, come integrated pathology applications. Integrated pathology applications give patients an easy interface to communicate with the various utility points. A lot of hassle is taken care of and process smoothness is ensure. – Sitting in queues, at the diagnostic center and the doctor’s clinic. – And obviously, all of this with the physical discomfort that they are already suffering from. With a single-click solution that offers healthy resolution to all such issues, what reason would anybody have, to not use such applications? And no, these applications are not meant only for patients! Look carefully, and you will find a complete ecosystem being affected. 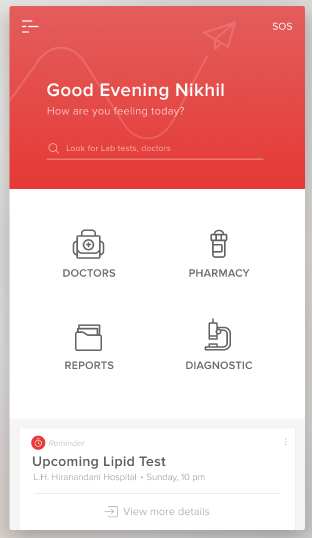 Path labs and doctors get at hands, a convenient way of keeping a clean track of all their patients, individually and systematically. No tests missed, no test results jumbled, no appointment delayed, a complete history of prescribed meds — in short, medical histories of patients are maintained with individual detailing by respective physicians and diagnostic centers. Benefits galore for patients and path labs, why should you, as an app maker, want to invest in pathology application? mHealth and wearable devices represent a significant opportunity for growth and collaboration across sectors of the mobile ecosystem. New technologies and innovative apps are improving consumers’ lives; facilitating fitness and wellbeing whilst providing greater access to essential & state-of-the-art healthcare. Healthcare is becoming a bigger market everyday, with the global population becoming more aware towards lifestyles and lifestyle-related health complications. 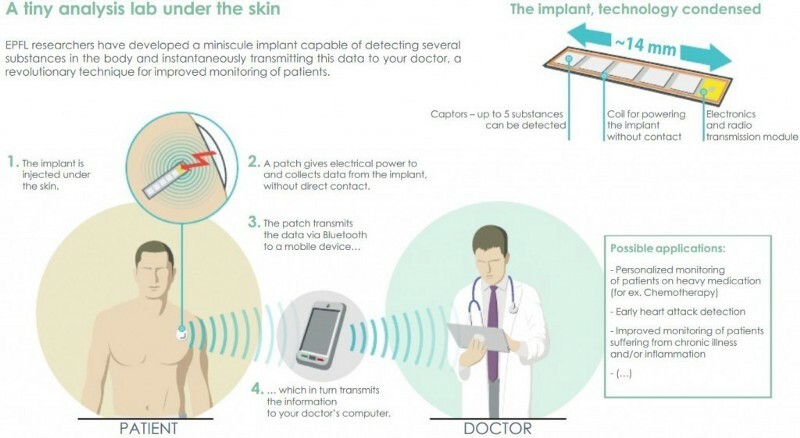 Wearables and body vital tracking devices are already thronging the healthcare market place. Mainstream medical and pathology mobile solutions, are, however not as common as geeky wearables. That definitely does not mean a lack of consumer demand in this area. In fact, quite the opposite. 86% of healthcare professionals believe that health apps will increase their knowledge of patients’ conditions. Need a more motivating money number? The market for mHealth services $26 billion globally by 2017. This creates an opportunistic void for you, as an app maker or marketer. mPathology is a niche of the whole mHealth environment — quite an important one. What’s absolutely fantastic about the future pathology scenario?And what does that future hold for you? Artificial intelligence, Internet of Things, machine learning….the digital technology scenario is being flooded by amazing things everyday. The most fruitful utilization of all these magical advances is in the field of medicine and healthcare — pathology being the base ground for concepts like Internet of Things to operate on. The future of pathology laboratories lies in the concept of lab under the skin. Look carefully, and you will find out, the whole face of pathology has evolved in the picture above. There IS NO mention of any test, any report any appointment or for that matter, any sort of queuing or waiting for patients in this concept. That’s the ultimate use of technology in mPath. Once this concept gets to be implemented in mainstream market, medical app marketers would be in a literal cosmos of thriving opportunities. Integrated diagnostic applications like the one shown above, bring every stake holder in the healthcare ecosystem, really close to one another. Such applications can come from houses of well-known diagnostic laboratories that flaunt their precision in performing complex tests and samplings. While we can rely a lot on technology too take out a lot of disorganization from the present day diagnostic scenario, we must remember, that complicated assays like ELISA would still need a laboratory and an experienced laboratory professional to reach accurate results. As such, we can only take off the regular health vitals off shoulders of diagnostic centers, keeping them free for more crucial work. Assuming that IoT and AI have a long way to go, to realize futuristic medical dreams, the market now only offers opportunities of bridging gaps in the existing system. An integrated pathology mobile app, that connects doctors, patients and path labs is gaining popularity. many well known laboratories have started rolling out their own versions of mPath apps. There are more like them out there, more in the making, and yet, more in demand. Healthcare is an evergreen field from the perspective of technology investment. It will only grow more demanding as more people grow aware of their escalating lifestyles and aggravating health issues. There will be the need of constant tracking, reporting, feedback and diagnosis. Nothing, but mHealth and mPath can cater to this ever increasing demand.